What a delight! 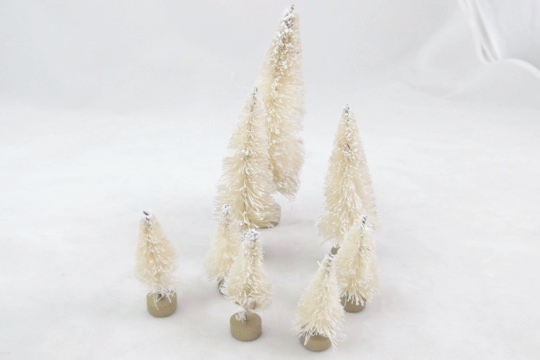 These white bottle brush trees are frosted with snow and ready for your putz or other decorative needs. 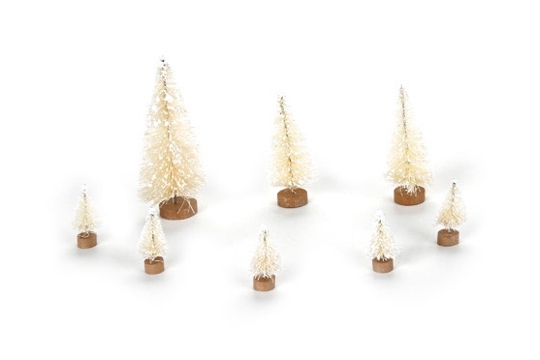 The eight (8) white bottle brush trees are made of sisal and come in three (3) heights: about 4 inches, 3 inches and 1-1/2 inch.